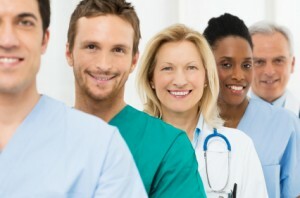 The health care field continues to be one that has stayed steady and thrived during the recession. For instance jobs in the field of medical billing and coding continue to rise, and more and more individuals continue to choose that flexible and fulfilling career. To meet the particular challenges of medical billing and find work working with medical billing and records, (earning , on average, steadily close to $33,000 a year), most people find themselves in some kind of training or degree program to get qualified. Depending on the school and program, students can quickly earn a certificate – anywhere from a few short months to a year– or stay on for a more advanced medical associate or bachelor’s degree. Most medical billing and coding specialists have an associate’s degree, which can take anywhere from one to two years to earn. A certificate is the basic education employers will look for when hiring someone to work as a medical biller or coder. This is the first check for an HR team to make sure that a candidate has the essential and necessary skills to work in medical billing. A certificate program usually covers topics like medical terminology, software applications, anatomy and physiology, diseases of the human body, math, and then classes specifically created for the medical billing field, such as medical insurance and billing. Completing this core set of classes and earning a certificate in medical billing ensures an employer that prospective employees have all the knowledge they need to succeed. A step up from a medical coding certificate is the medical coding associate’s degree. This takes slightly longer to earn, but just like a certificate it is available at community colleges. It also offers students a broader range of medical industry information. This is also a useful degree program for anyone looking to go back to school later, or trying to earn credits in a discipline besides health or medical billing. An associate’s degree would be building from the basic core competencies of a certificate, and certainly include all of the same curriculum, plus several more pieces. All in all, a student would have a mix of technical courses, process courses, and administrative courses. These could include communication for medical professionals, health information technology, health reimbursement and legal issues, and medical records and documentation. While you don’t need a bachelor’s degree to work in medical billing, some have found that earning a degree in health information management or health care administration have helped them in that field. While the degree takes four years to complete, it can also be a step towards a management position later down the line – meaning the potential for more income and the possibility for more satisfying work. While a bachelor’s degree in medical billing and records will of course cover all of the material that an associate’s details, often the requirements for this degree focus on business and medical management and prepare a student for a supervisory role. Classes can include things like Strategies for Decision Making, business communication, health management, and in depth coding systems classes. No one program will be right for everyone. There are time and financial considerations, as well as what programs are available. But each program can certainly help to provide a solid foundation for medical billing training, and ultimately help someone work in a career that is growing and flourishing even in a soft economy.